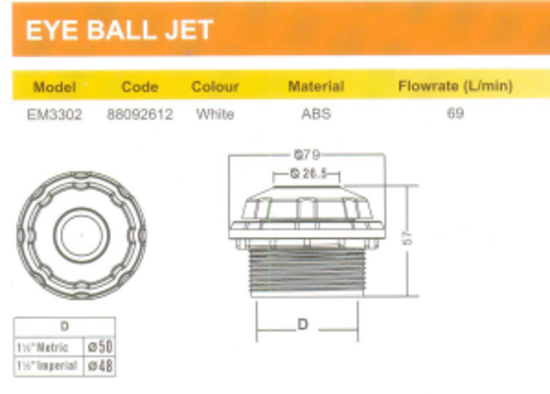 Eyeball fittings come in a variety of forms and sizes, from threaded to slip. 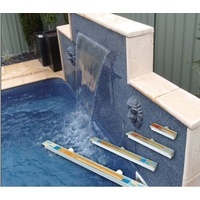 Use these wall fittings in pool or spa to create flow patterns or increase intensity. 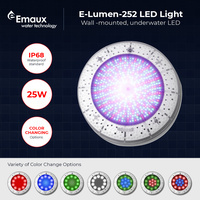 Pool directional fittings, aka pool eyeball fittings, are used to direct the flow of water entering the pool through the pool return, to create more efficient circulation and flow patterns. 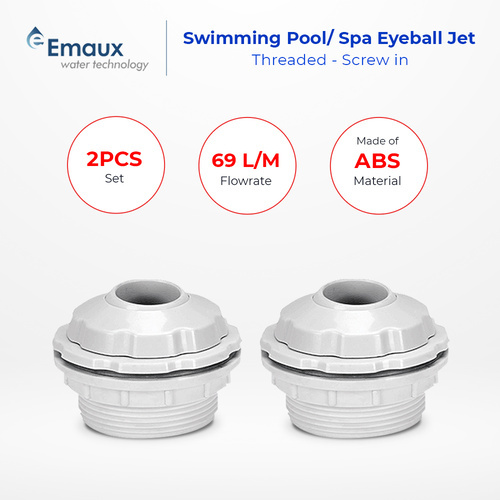 Place smaller eyeballs on returns that are located closer to the pool pump, to balance flow between returns, or use smaller eye sizes when more flow intensity is desired. 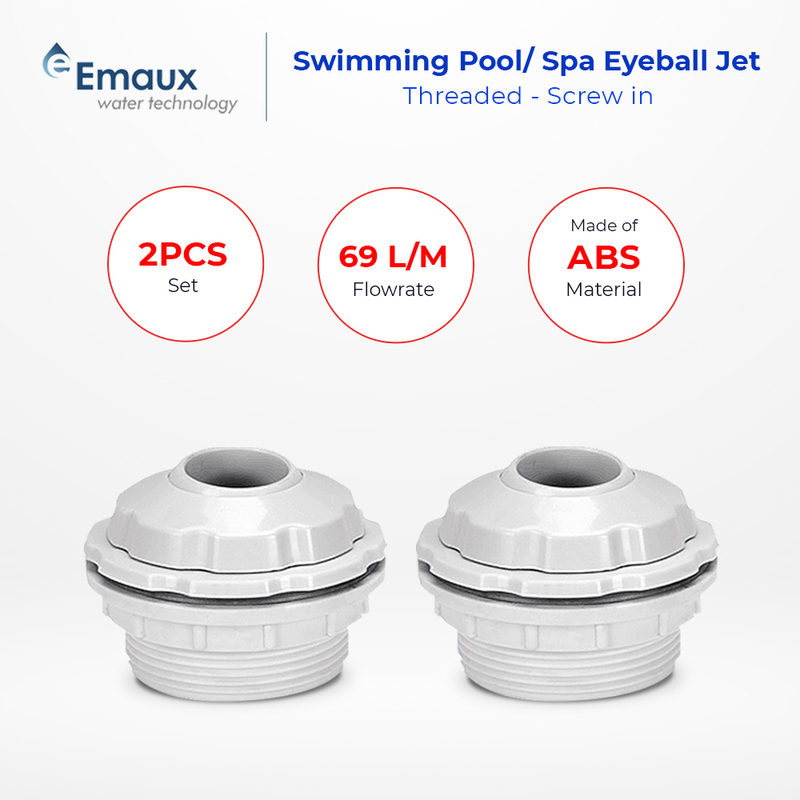 1.5 inch Pool eyeball fittings are either male threaded to thread into the wall return, or are non-threaded (insiders), and push-in to a slip, smooth pipe at the wall. 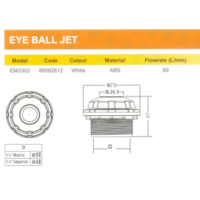 Flanged eyeball fittings have an extended flange around the eyeball fitting, to function as a trim ring or escutcheon plate. 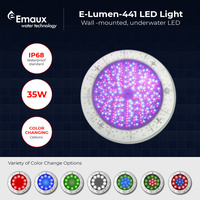 Eyeball fittings come in a variety of colors, with varied eye sizes or opening size of 3/8in, 1/2in, 3/4in and 1in, and all eyeball fittings are sized to fit 1.5in wall returns.